Terry Rozier says his ability to gobble up missed shots can be traced back to childhood, when he was one of the smaller players on the court. 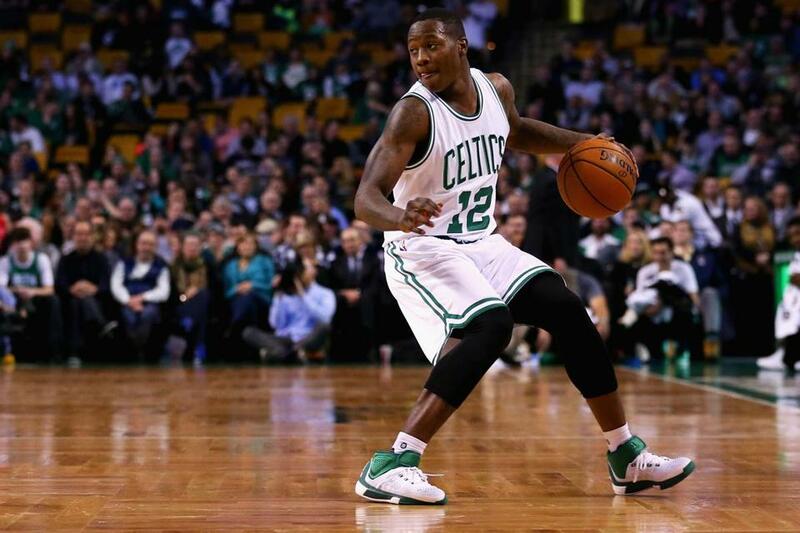 Celtics rookie Terry Rozier is just 6 feet 1 inch and fairly listed at 190 pounds, so he does not stand out as someone who seems likely to take away a rebound from opponents. But since finding a spot in Boston’s regular rotation recently, that is exactly what he has done. Prior to being held without a rebound in the Celtics’ 107-96 win over the Magic on Monday, Rozier had corralled 19 rebounds in 62 minutes over the last six games. He entered Monday with a rebounding percentage of 10.5, which ranks seventh in the NBA among guards who have appeared in at least 20 games this season. Rozier says his ability to gobble up missed shots can be traced back to childhood, when he was one of the smaller players on the court. If he wanted to ball, he needed to go and get it. Rozier said the key to chasing down missed shots is tracking the flight of the ball. He generally has an idea where the carom will veer, and he is an above-average leaper, so that makes things easier. Rozier said he has become increasingly comfortable now that he is playing regularly. But he also understands that his recent opportunity has, in large part, come due to the Celtics’ attrition. While he is getting this chance, he is determined to show that Stevens can trust him even when Boston returns to full strength. Crowder did not travel with the Celtics on their recent two-game road trip, but Stevens said the plan is for him to join the team on its upcoming five-game West Coast road trip, which begins in Phoenix on Saturday night. Forward Jonas Jerebko returned Monday after missing two games with a sore left ankle and Achilles’. He said he began to experience some soreness after the Celtics’ loss to the Pacers last week. He underwent an MRI, which did not reveal a significant injury. Jerebko tore his right Achilles while playing for the Pistons in 2010, so in this instance he wanted to err on the side of caution. “Stuff happens during the game,” said Jerebko. “You can get kicked, stuff can swell up on you. I don’t know what it was, but after the game I was just really sore. I’ve had it with my other Achilles’ . . . so always when you feel something it’s like ‘Oh.’ So doc just did an MRI on it. Everything was fine, but like I said, take a couple games off and be ready for this playoff push.” Jerebko played 19 minutes against the Magic and did not score, but he grabbed five rebounds. Adam Himmelsbach can be reached at adam.himmelsbach @globe.com. Follow him on Twitter @adamhimmelsbach.